History of a county establishes a foundation for its future. India has a vast history worth remembering. 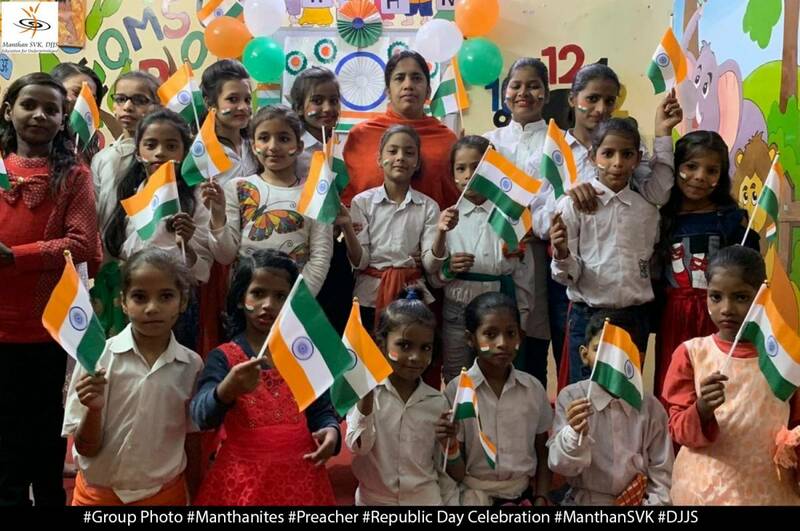 26th January is celebrated as Republic day in India. This was the auspicious day when the Constitution of India came into effect, making it a true democratic country. A county is not considered to be free until it has its own set of Constitution. Indian Constitution came into effect on 26th January 1950. 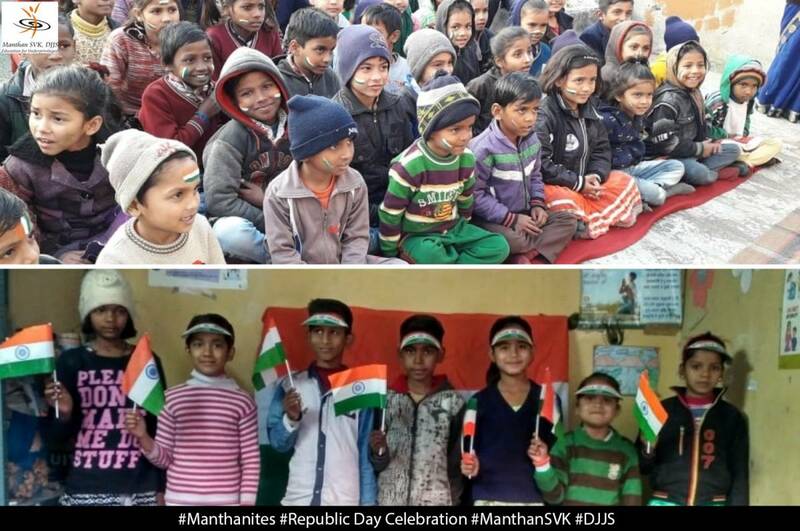 Since then, we have been celebrating republic day every year. Every year, President of India unfurls the national flag at Rajpath, a tradition started by the first president of independent India, Dr. Rajendra Prasad. 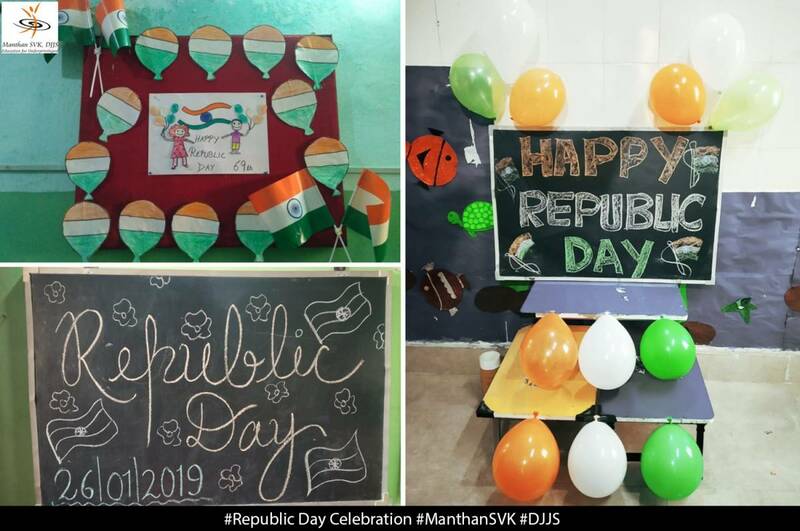 Divya Jyoti Jagrati Sansthan also celebrates this national event and also tries to instill this feeling of patriotism in the young children through its initiative, Manthan-SVK. 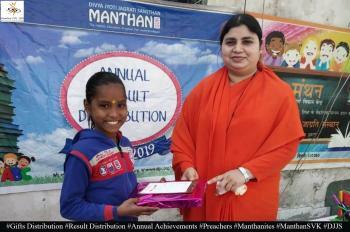 Manthan-SVK is working for the education and overall development of the children of underprivileged society. 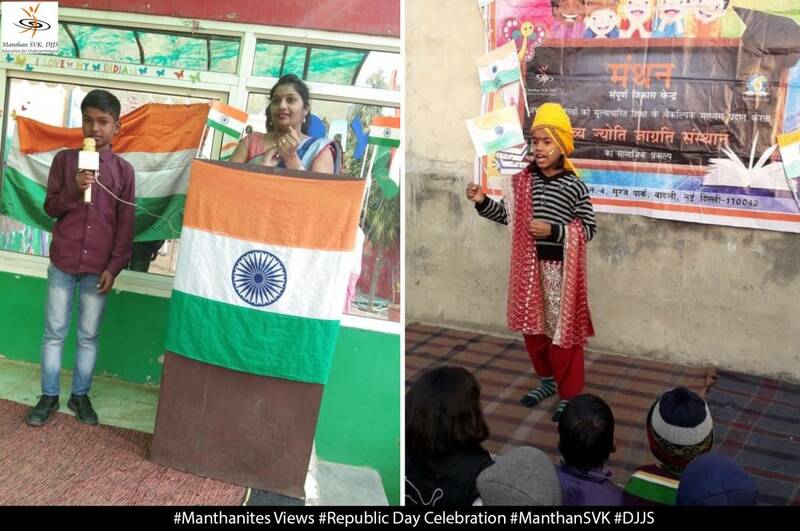 Republic day was celebrated at all the centres of Manthan SVK on 25th January. 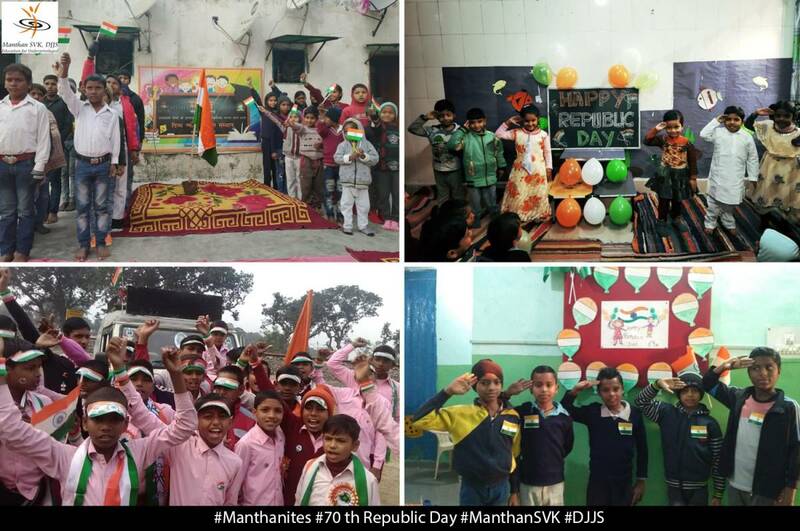 Children were told about the rich history and culture of our country. 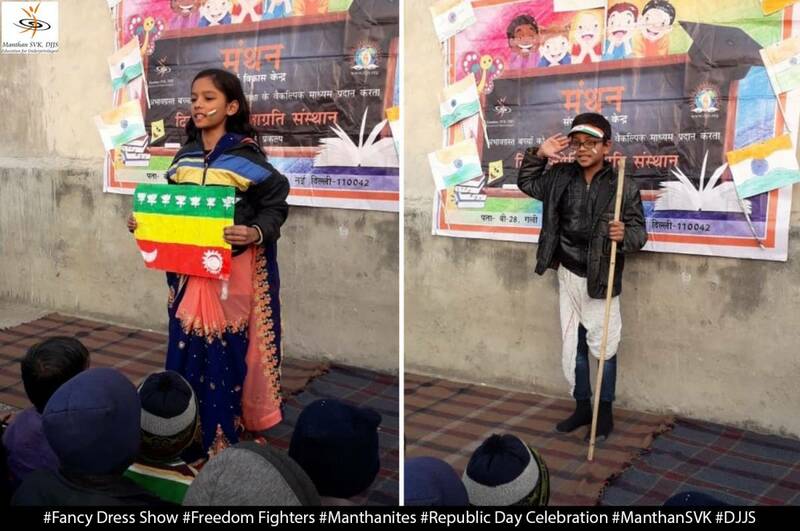 They were made aware about the brave freedom fighters and soldiers who died to protect our country. 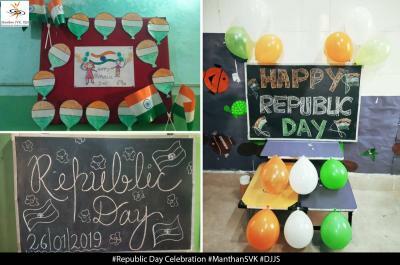 Children celebrated this day with full enthusiasm. 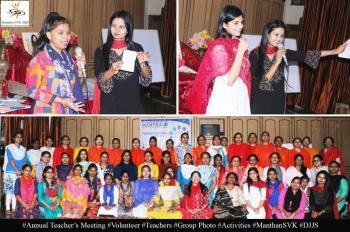 Events were organized at all the centres of Manthan SVK. 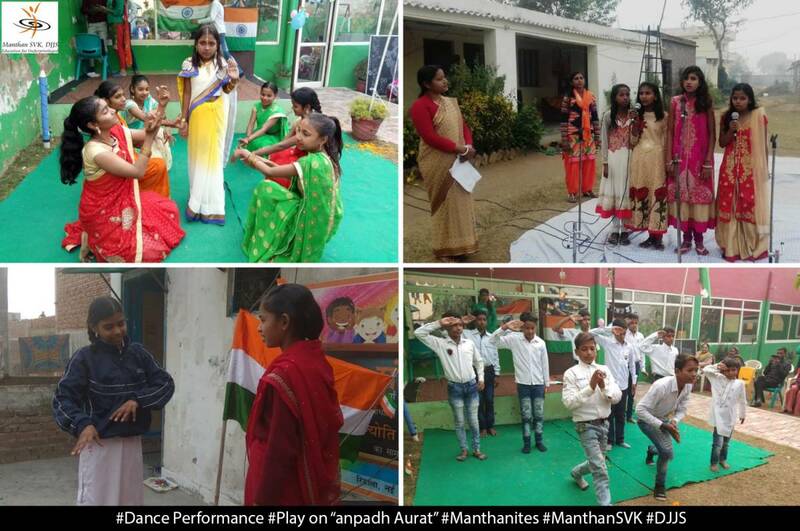 Children prepared various dance and music performances to celebrate the day. 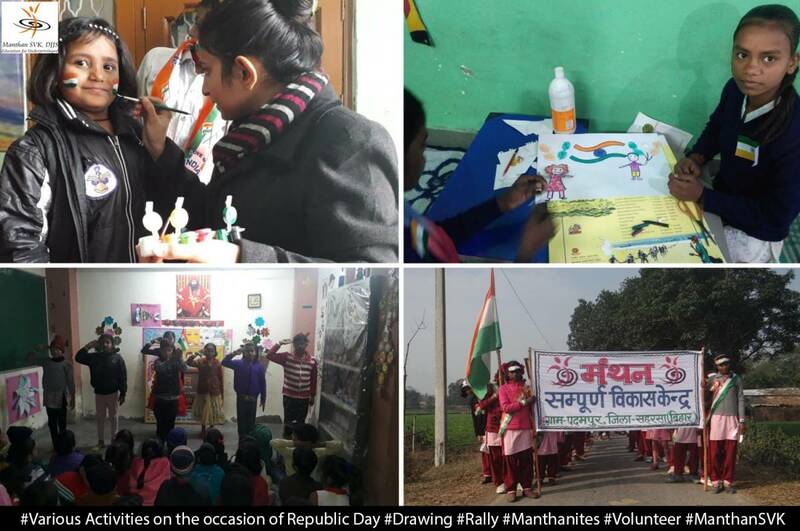 They worked very hard to prepare all the activities. 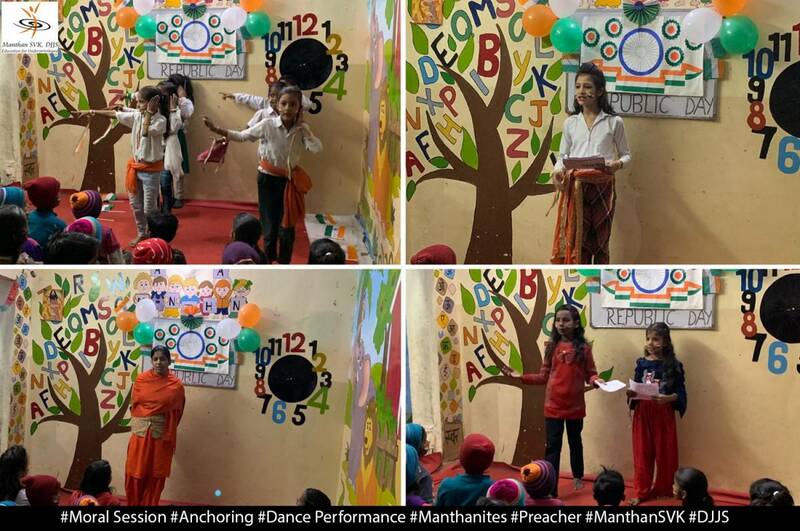 In Manthan, focus is not only kept on the education of the children but also the cultural and overall aspect of life. 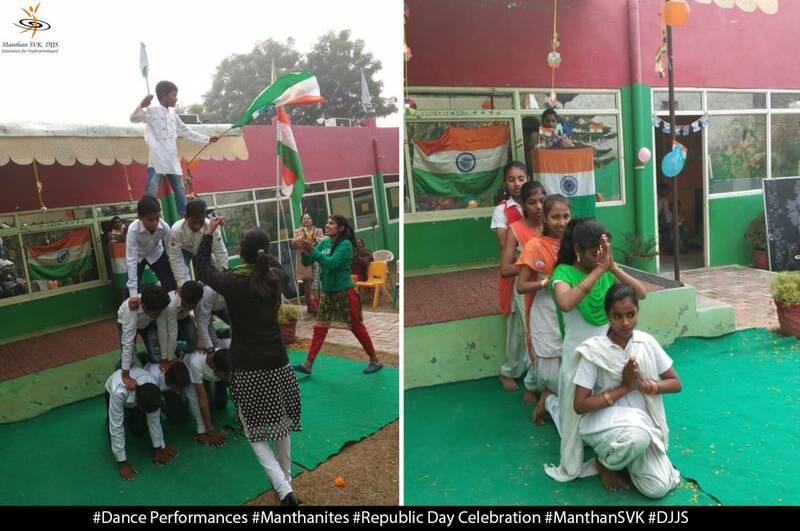 Manthanites presented amazing performances at all the locations which was very impressive. 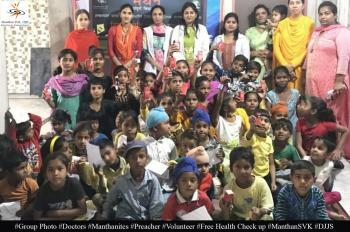 Refreshments were distributed to the children after the event. 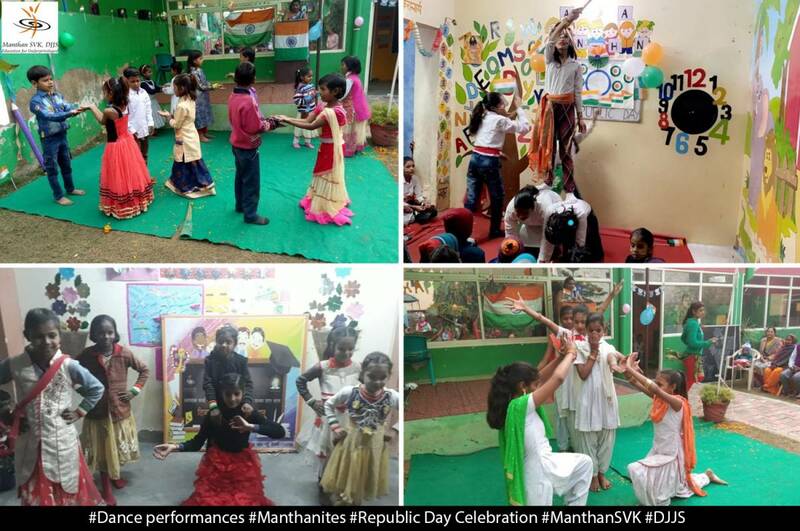 The celebrations ignited a feeling of patriotism and respect towards our history in the hearts of the children.